Fear, confusion, and anger have taken hold of Virginia. Charlottesville is on our doorstep and it’s up close and personal for those of us in District 18. There are no more excuses. We cannot deny the fact that the political climate has fanned the flames of extremism. It’s not a coincidence that the largest gathering of white supremacists in twenty years is happening right now or that it led to an act of domestic terrorism. Trump’s leadership (or lack there of) has opened the door to incendiary extremist beliefs. As a result, a young woman has died. This is scary stuff. Change the political climate and stop this madness by electing new leaders. November 7th is our first opportunity to tell the world that Virginia is for Lovers and there is no place in our Commonwealth for hate. Mark your calendar, November 7th. Bring yourself and two others to the polls. Make your voice heard in your family, your community and let the people you care about know you want Virginia to be for Lovers, not haters. YOU have the power to unseat the Trump-ists in District 18. 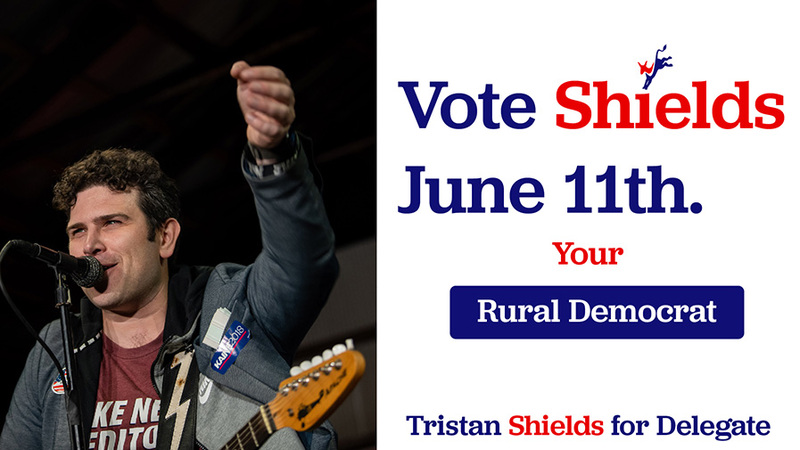 Vote Tristan Shields.